The 1984 FA Cup Final. Remember it ? No nobody does. It wasn’t a particularly memorable one but when I impart some information about who played you will be surprised that you don’t recollect something from that year. Music wise I am very disappointed by the two teams. They both had massive opportunities to capitalize on their musical connections but for some reason the one team did a half-assed job and the other didn’t even bother. Everton played Watford and the final result wasn’t a surprising one. Everton at that time were the dominating club. Winning all the time. 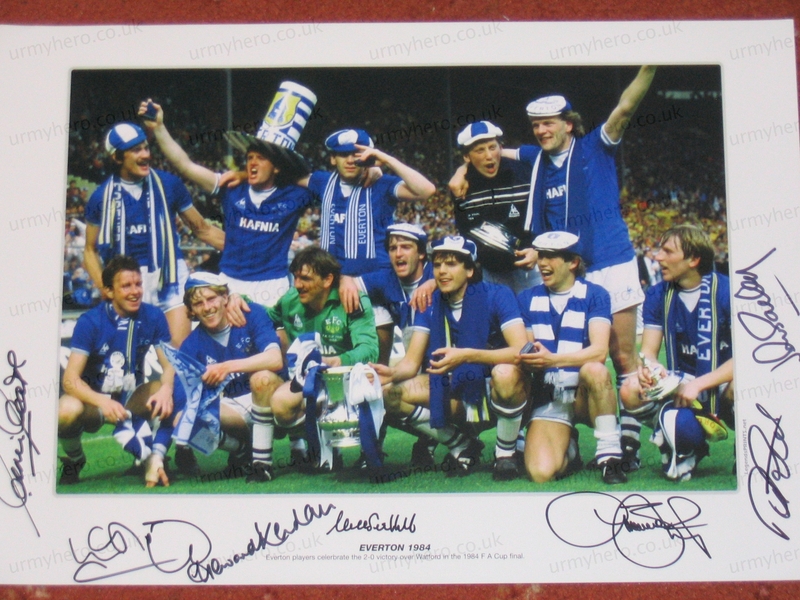 They had big Nev Southall, Gary Stevens, Kevin Radcliffe, Peter Reid, Trevor Steven, Adrien Heath and the scorers Andy Gray and Graeme Sharp. Mullets as far as the eye could see. Watford at that time had a couple of decent players back then. Their manager, Mr Graham Taylor, was one who we saw after this who flattered to deceive. A bit like Big Sam now. Didn’t we learn the lesson from Taylor’s time. All the planets aligned for him and the Watford players – including Mo Johnson up front and in midfield… John Barnes. Then he went to Villa for a SteMclaren average type of time before the FA made one of their many excellent choices and we know the rest. Yet another unimaginative title. But at least they bothered. Watford – who’s Chairman back then was one Elton John – not a thing. Extra time: Kevin Birdseye from the Blind, Stupid and Desparate – a Watford FC website, writes about their defeat.